Would you like to take a break from your challenging W&L course-work and re-live the carefree days when you were first learning to read? You are invited to visit our collection of treasured children’s picture books, now located adjacent to the Information Desk area. This collection, based upon recommendations from the New York Public Library, was purchased to help our Education students work with children in the Lexington-Rockbridge community. The books are intended to be checked out only by W&L Education students, but anyone can browse. And sigh. Who doesn’t need to re-visit Where the Wild Things Are? Here are a couple of photographs in Leyburn Library from Parents and Family Weekend, taken from the “Scene on Campus” display on the W&L Web site home page. 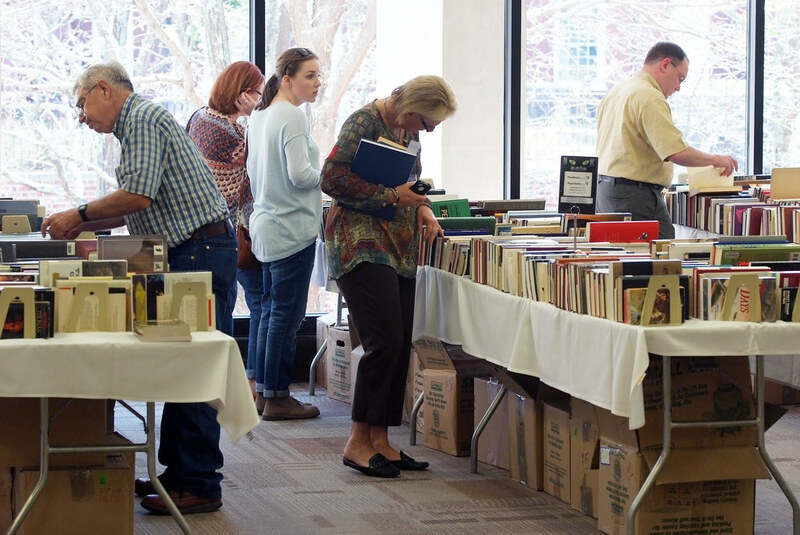 Shoppers perusing the offerings in Leyburn Library’s book sale during Parents and Family Weekend. Parents take a break in Leyburn Library on the Saturday afternoon of Parents and Family weekend. We now have about 20 carrels in Leyburn Library available for student reservations. Ask at the Information Desk on the Main Floor. All carrels in Leyburn Library now have been reserved, and there are only two left in Telford Science Library. At the end of the month, we will contact everyone who signed up for a carrel to see if anyone no longer thinks a carrel is necessary. After that, we may have some vacancies. Thanks to all students for working with us on this annual ritual. There are still carrels available in Leyburn Library, especially on Lower Level 4, and there are just a couple left in Telford Science Library on the 4th Floor. "How I Spent My Summer"
The Washington and Lee University community, including parents and alumni, is invited to a poster session on Friday 4 October at 1:30 PM on the Main Floor of Leyburn Library. Students involved in summer projects, including Summer Research Scholars, the Shepherd Poverty Program, and the Study Abroad program, will be discussing their work. If learning about our students’ summer experiences is not enough incentive, perhaps you will be enticed by the promise of extra-large chocolate chip cookies and Pure Eats donuts. The session will end around 2:30 pm.